Parner of Carey and co-head of the firm’s Litigation Group. His practice is focused mainly on civil and commercial litigation, antitrust and regulatory litigation, as well as national and international arbitration. Republic of Chile on a resubmission proceeding pursued by Joan Garcés, in representation of Víctor Pey, Coral Pey and Fundación Presidente Allende under the ICSID rules, whereby he sought a USD350 million compensation for the expropriation of the newspaper “El Clarín”, and the denial of justice and lack of fair and equal treatment related to it. He also represents the Republic of Chile on the lawsuit filed against it in 2018 by Joan Garcés, under the rules of UNCITRAL. Metro 6, an affiliate of Salini-Impregilo, the largest constructor company in Italy, on an arbitration procedure against Metro for the alleged breach of contract for the construction of subway line number 6, where the constructing company sought damages for approx.. USD120 million. Philip Morris Chile on a claim before the Antitrust Court against British American Tobacco Chile, for the abuse of its dominant position and the performance of exclusionary acts. He also acted for Philip Morris Chile before a Civil Court on a summary judgment against British American Tobacco Chile for the damages that resulted from the exclusionary acts performed in the Chilean cigarettes market. Nuevosur on an arbitration procedure initiated by the state company Econssa with the purpose of determining the scope of the “Unpaid Investments Mechanism”, agreed by the parties in the Assignment Contract for the Water Concessions Explotation Rights. Inversiones Punta de Rieles and Antofagasta Railway Company on an arbitration procedure of about eight different claims for alleged infringement of the representations and warranties contained in the SDA and the Purchase Agreement of Aguas de Antofagasta The main claim referred to the expansion project of a desalination plant. The claimed amount fluctuated between USD13 and USD40 million. Cencosud on its defense regarding a lawsuit submitted by the National Economic Prosecutor against Cencosud and two other supermarkets, for alleged collusion in fixing the resale price of chicken in the grocery store market. Graña & Montero on three different arbitration procedures initiated against the company, whereby the claimant requested the declaration of nullity of an Investment Agreement, a Shareholders Agreement and other instruments, plus the award of USD50 million damages compensation. A Central American country on an investment dispute before the International Centre for Settlement of Investment Disputes (ICSID) (in Arnold & Porter LLP). Foreign Associate, International Arbitration practice, Arnold & Porter LLP, Washington DC (2014). Member of the panel of young arbitrators, Arbitration and Mediation Center, Santiago Chamber of Commerce. Member of the Advisory Committee of the Chilean Institute of Procedural Law (2011). Professor of Civil Procedure Reform Diploma, Universidad Católica de Chile (2011). Professor of Civil Law, Universidad Nacional Andrés Bello (2009-2012). 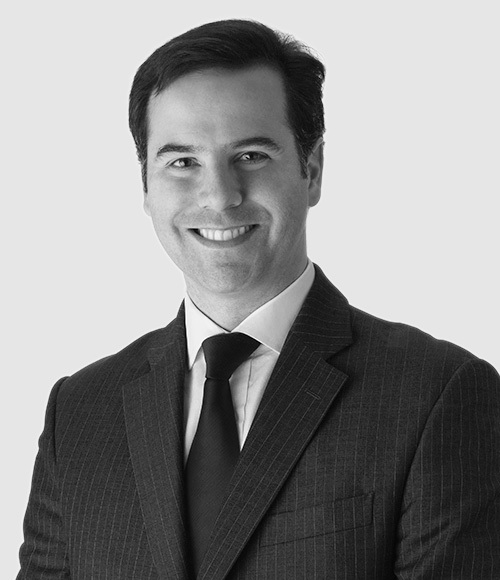 Co-author of the Chilean chapter of the Global Litigation Guide 2019, Chambers and Partners. Degree on Modern Civil and Commercial Rules for Contracting, Universidad de Chile (2008). Degree on Administrative Litigation, Universidad Católica de Chile (2016).